Americans spend more on drugs than people in any other country. The amount of out of pocket is projected to rise to 67-billion dollars in 2025, from about 25-billion dollars in 2000. Now, two new bills banning drug gag clauses can help reduce the cost. (WXYZ) — Americans spend more on drugs than people in any other country. The amount of out of pocket is projected to rise to 67-billion dollars in 2025, from about 25-billion dollars in 2000. Now, two new bills banning drug gag clauses can help reduce the cost. 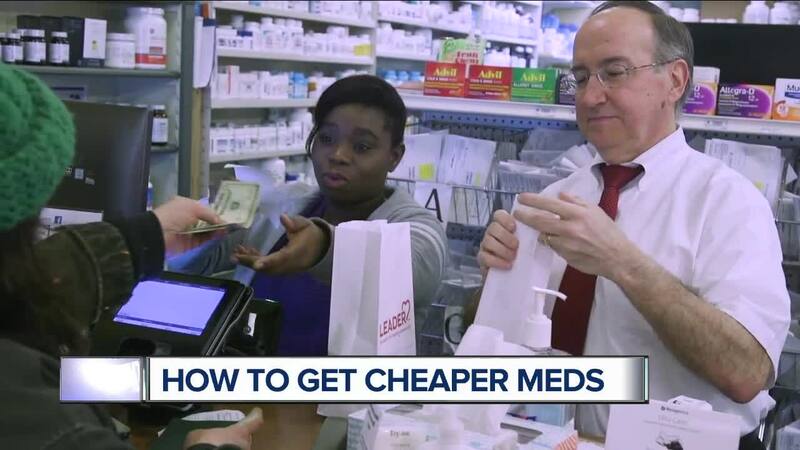 Consumer Reports has the way to save for cheaper meds ...and all you have to do is ask. A March 2018 study found that for about 1 out of 5 prescriptions, insurers required people to pay more using their insurance than if they paid the pharmacy’s retail price. One reason this happened: Gag clauses. The clauses prevented pharmacists from telling you there may be a lower price by not using your insurance. But not...anymore! Gag clauses were something consumer reports surfaced years ago and worked with a bunch of state legislators to help pass state-by-state laws to help curtail this practice. And then, this past Oct, two bills were passed in Congress put an end to this practice once and for all on a national level which is a terrific win for consumers. Make sure you really need that medication. Make sure you’re taking a generic. Generics are a good option for most people and will save you boatloads of money. Get a 3-month or 90-day prescription and you can save at least one copay or maybe even two. Check out websites that offer coupons. Want more tips on how to save on your meds? Go to our website for Consumer Reports’ ideas on how to save on prescriptions.